The Global GovJam is well and truly over for another year. So, well done Leeds GovJam Jammers. You came. You jammed. You conquered. It really is incredible when Jams take shape and ideas come to life through prototypes that are tested with users, refined and developed in a whirlwind 48-hour sprint to the final show and tell. We would like to take this opportunity to thank our sponsors, DWP Digital Academy, Stick People and UKGovcamp, plus the amazing space that is ODI Leeds, and everyone who got involved in Leeds GovJam 2016. Last but by no means least, we would also like to give thanks to the awesome Global GovJam HQ team for starting this thing, growing this thing, and for choosing to spend this year’s Jam in Leeds. It was lovely to have you here! Learn more about the experience of DWP Digital Academy at GovJam 2016 in this fab review film that shows Sophie, Ben, Chloe, Becky, Joe and Liz talking about user research, agile techniques, and what they thought of Leeds GovJam. There is also this brilliant blog by original Leeds host turned Global GovJam HQ team member Matt Edgar – 10 things I learned on the Global GovJam HQ team. 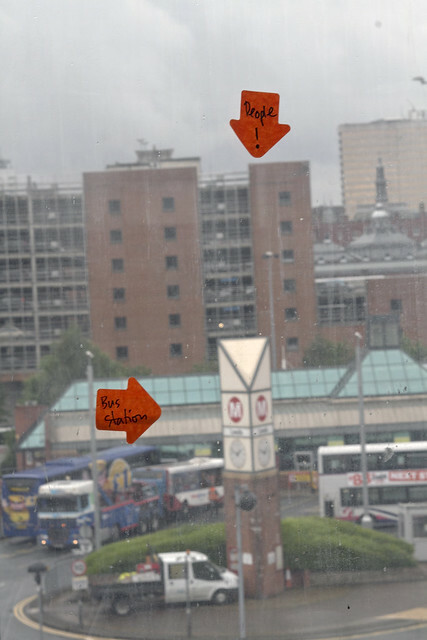 And, here’s a write-up about the experience from a volunteer’s point of view by Lisa – Why I volunteer at Leeds GovJam – along with our Flickr photo gallery. Thanks also to Emma Coppack from Digital DWP for sharing her perspective in this excellent blog – Jamming with Lego, not guitars: My experience of GovJam 2016. If you have a blog, write-up or thoughts to share about Leeds GovJam, please do let us know so we can link up with you in this post. Thank you – #YouAreTheJam – we salute you! This entry was posted in GovJam, Uncategorized and tagged leeds, leeds govjam, service design. 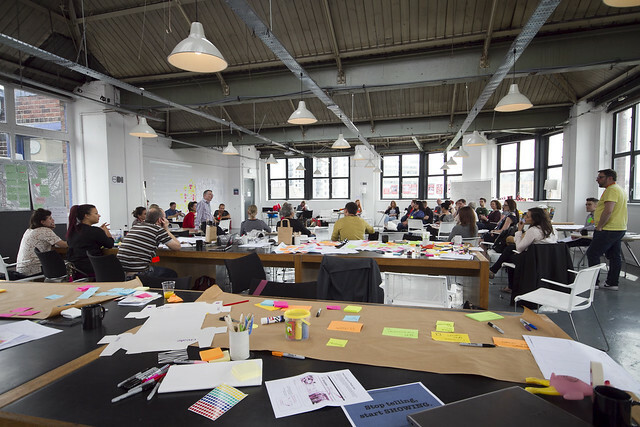 For the second year running, Leeds GovJam will be at the wonderful ODI-Leeds. 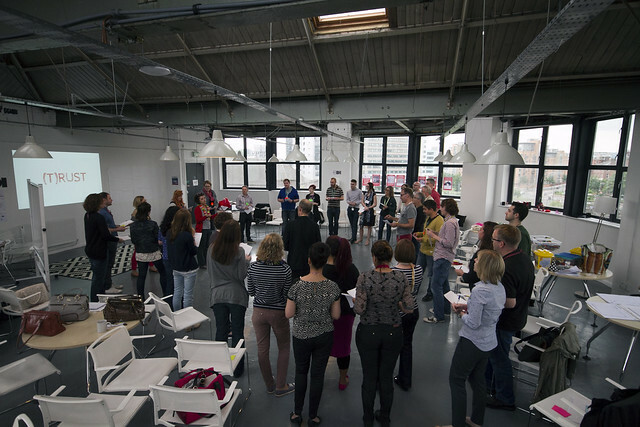 You can get a feel for the space by looking through Lisa’s photos from last year’s Leeds GovJam. 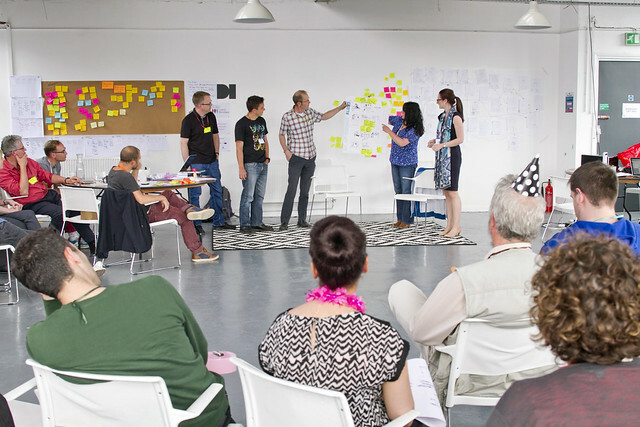 We’re also delighted to announce that Leeds GovJam 2015 will be supported by UKGovcamp Grants. UKGovcamp is the free, annual ‘unconference’ for people interested in how the public sector does digital stuff. The organisers put some of their left-over sponsorship money into a grants pot each year, and use it to help other similar events get off the ground. We’re doubly fortunate because UKGovcamp has also supported our sister event, Leeds Service Jam. Thanks! 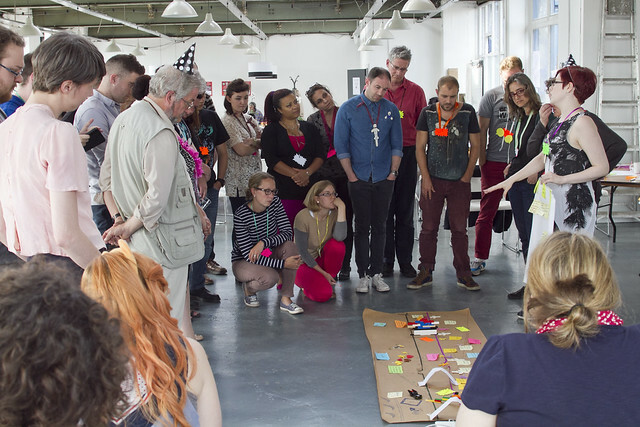 Could your organisation help to make Leeds GovJam 2015 even better? Leeds GovJam is run by volunteers, and nobody makes a profit from it. Sponsors and supporters help us keep costs down, open up new possibilities, and provide extra treats and prizes to jam participants. In return your organisation gets to show its support for public sector innovation in a high-profile and practical way. This entry was posted in Uncategorized and tagged govjam, leeds, venue. This entry was posted in GovJam and tagged govjam, leeds. Six teams are working on new public service ideas inspired by our secret theme. Three weeks to go: where will you jam? 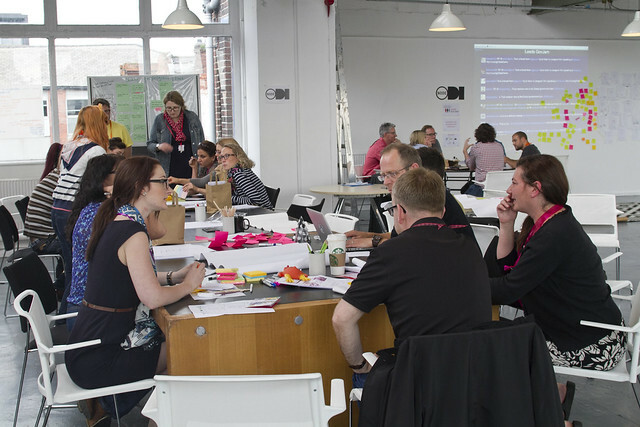 Three weeks from today we’ll gather at the ODI-Node in Leeds to find out the secret theme for the Global GovJam 2014. People from Leeds City Council, the NHS, the Department of Work and Pensions and MySociety will join freelancers, academics and others – all with an interest in making government services better with the power of people-centred service design. It’s a great chance to challenge yourself, learn new skills, meet new collaborators, encounter ideas you would never have had if you were alone, and have a great time. We’ll be doing, not talking – building prototypes to make ideas as physical as possible so we can experience, communicate and test them. And we won’t be alone. Ours will be one of around 20 jams round the world, all working in their local groups to prototype services on the same shared theme. You could take part in Brazil, Canada, Germany, Taiwan, the USA, and in the UK in Manchester or Exeter too. But obviously we hope you’ll join us in Leeds. Public sector innovators will link up with counterparts all over the world as part of an event coming to Leeds for the first time next month. Now in its fourth year, the Global GovJam is a high-energy 48-hour challenge for anyone who wants to make public services better while learning new design tools and techniques. Up to 50 people will take part at the Open Data Institute Node in Duke Street, Leeds, on Tuesday 3 and Wednesday 4 June. Participants will use social media to swap ideas with teams in other countries, including Brazil, Canada, Germany, Taiwan and the USA – all inspired by a shared theme kept secret until the start of the event. The emphasis is on doing, not talking. Everyone is encouraged to come up with improvements to public services, make prototypes to show how they would work, and take to the streets to ask their fellow citizens what they think of them. “From highways and street cleaning to health and social care, everyone experiences public services. What’s more, tens of thousands of people in our city work to deliver them every day. We think they deserve the best design, and are really excited to be bringing GovJam to Leeds for the first time. Registration for Leeds GovJam is open now at leedsgovjam.wordpress.com. This entry was posted in GovJam and tagged govjam, leeds, news, press release. Wow! Our Leeds GovJam early bird places sold out in just four days. But don’t worry – if you head on over to the booking page you’ll find we’ve just released a further batch of tickets. You can also see the list of people who have signed up in the week since booking opened – people from Leeds City Council, the NHS, mySociety and others. We’re talking to other local authorities and at least one central government department is looking to join in too. Thanks to our venue hosts ODI-Leeds, we have spaces for up to 50 jammers, and we would love to fill them all. Sign up yourself, tell your friends, or bring your whole team. We’ve even made you a flyer to print and share. Want to help improve government services? Thought so. This entry was posted in GovJam and tagged design thinking, govjam, leeds, service design.